As one of Bangkok’s most revered establishments, Sofitel Bangkok Sukhumvit encompasses all of the pillars of luxury that are synonymous with the global Sofitel brand, while still showcasing a harmonious mix of French grandeur and rich Thai culture. 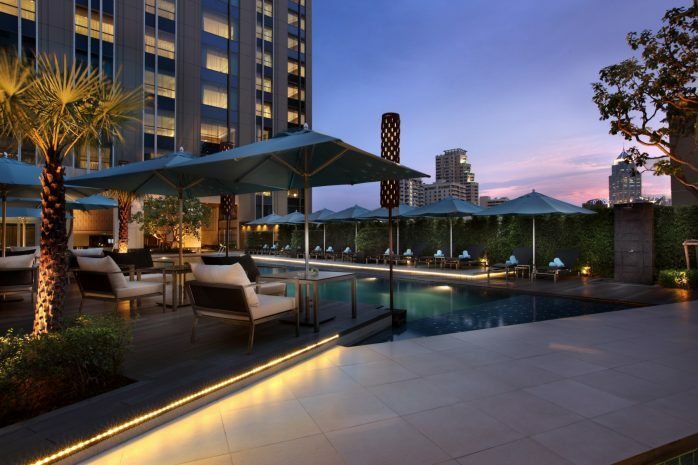 The elegant downtown hotel sits conveniently in Bangkok’s premier shopping and entertainment district, and is just minutes’ walk from BTS Nana station, allowing for easy access to the rest of Bangkok’s vast cosmopolitan area. 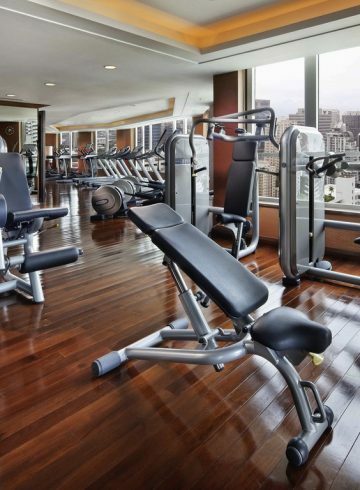 Moreover, it boasts excellent facilities that include a large outdoor pool, fully-equipped fitness centre and a superb selection of restaurants and bars. In addition to these world-class amenities that have made the Sofitel Bangkok Sukhumvit a household name in the hospitality sphere, the hotel’s celebrated Le Spa with L’Occitane has also transformed the property into a leading destination for rejuvenation and wellness that is recognised as the best luxury spa in Bangkok. Considered the best spa in Bangkok by many, Le Spa with L’Occitane has won countless accolades from globally-recognised institutions like The World Luxury Spa Awards, where the centre was the recipient of Best Luxury Hotel Spa in Thailand in 2017. It has also become a favourite of international travellers looking for an excellent spa package in Bangkok, or a massage Bangkok Sukhumvit-based. However, what sets the wellness retreat apart from any Thai spa is its ethos, which combines ancient healing practices with modern cosmetology. This spirit is then brought to life by the expert massage practitioners, beauty professionals and other staff, which results in the diverse treatments that are on offer, many of which cannot be found at any other Thai spa in Bangkok. The diverse selection of massage treatments, luxury facials and package options also guarantee that all valued customers seeking a five-star wellness experience, or a spa promotion in Bangkok, will be more than satisfied at Le Spa with L’Occitane. As the best luxury spa in Bangkok, customers’ happiness and overall experience are our top priorities at Le Spa with L’Occitane. The extensive menu includes options for a top spa package in Bangkok, as well as many signature treatments that aim to pamper while also encouraging healthier lifestyles. Considering Le Spa with L’Occitane has cemented itself as the best spa in Bangkok, the menu is divided into sections that cover their luxury signature range, special recommendations, Thai spa-inspired approaches, solo treatments and options for couples. From their signature range, the Immortelle Divine Secret fights skin-slackening on the face, neck and décolleté area with a special anti-ageing facial made out of natural ingredients, which is applied using lifting and contouring techniques to help tighten the skin. Another package is the Golden Siamese Massage that incorporates essential oils, a hand and foot wrap and techniques found at a Thai Spa to help ease muscle tension and improve flexibility. Gold leaf is also applied to the face to oxygenate the skin. For those who wish to experience a top massage Bangkok Sukhumvit offers, at the best spa in Bangkok, we recommend the Shea Nurturing Massage that uses signature techniques to ease stress, release muscular tension and boost energy. Similarly, the Shop-‘Til-You-Drop Reviver elevates techniques used at a Thai spa by incorporating the healing properties of a steamed herbal compress which eases aching muscles as a result of a long day shopping in Bangkok. Furthermore, select treatments parallel Thailand’s centuries-old massage approaches. These are further elevated using modern principles that have made Le Spa with L’Occitane the best luxury spa in Bangkok. One example that is often found at a Thai spa is the Thai Heritage Massage. However, our version is distinct, making it a strong contender for best Thai massage in Bangkok, as it combines healing principles with acupressure and stretching techniques using the therapist’s fingers, thumbs, elbows, arms and feet. These treatments that target specific parts of the body are great for travellers who are suffering from jet lag or aches and pains. They are also recommended for anyone seeking a uniquely Thai experience through a massage Bangkok Sukhumvit situated. As the best luxury spa in Bangkok, Le Spa with L’Occitane’s extensive menu goes beyond the best Thai massage in Bangkok, offering a range of state-of the-art facials, Thai spa-inspired treatments, body wraps and cosmetology procedures, all of which are available in package form. An example is the Purity Radiance Ceremony that combines intense purification with principles of deep massage. The face is first prepared for a detoxifying mask enriched with the Four Teas Elixir and Lupin flower extract. It then undergoes a lymphatic drainage massage which leaves the skin purified. The spa also offers special combination sets that incorporate other elements to appeal to guests who want more than just a spa package in Bangkok. For example, the Le SPA Afternoon Tea, delights guests with a Four Teas Ceremony followed by a delicious French-inspired afternoon tea served at the spa or poolside. Another stimulating treatment is the Scrunch, which combines a body scrub with a relaxing aromachology massage to sooth both the body and mind. Another package treat is the Coconut Ultimate Indulgence, which is a great way to begin a Thai spa-inspired journey in luxury. It comprises of a warm oil Indian scalp massage, hydrating hair therapy wrap and a steam bath that prepares you for a rice body scrub, followed by a coconut poultice and coconut oil massage. Unlike other Thai spa options, the level of detail and care given in each of these combination treatments has helped cement the centre as the best spa in Bangkok. In addition to solo treatments, Le Spa with L’Occitane also offers His and Hers treatments like the Shea Fabulous Face & Body Massage. This holistic massage treats the entire body using slow, soothing gestures and the Shea Oil formula delivers unique nourishing, repairing and protecting benefits. With so many different choices, these carefully curated package options are ideal for travellers looking for an excellent spa promotion in Bangkok. There are many reasons that Le Spa with L’Occitane at Sofitel Bangkok Sukhumvit is recognised as the best spa in Bangkok. Firstly, the sanctuary offers serene settings where guests are invited to relax and forget their worries at the door. Moreover, the spa’s menu encourages visitors to choose from a wide-range of classic treatments such as scrubs, aromatherapy, facials and acupressure, to more unique treatments, package offers and unrivalled selections for spa promotion in Bangkok. For travellers looking for a uniquely Thai spa experience or the best Thai massage in Bangkok, the spa has a selection of treatments that combine centuries-old practices with modern techniques and luxury products. Spa-goers are also invited to personalise their experience with their choice of music, scents and pillows for extra comfort. It is this attention to detail, and level of care and service, that has made Le Spa with L’Occitane the best spa in Bangkok. 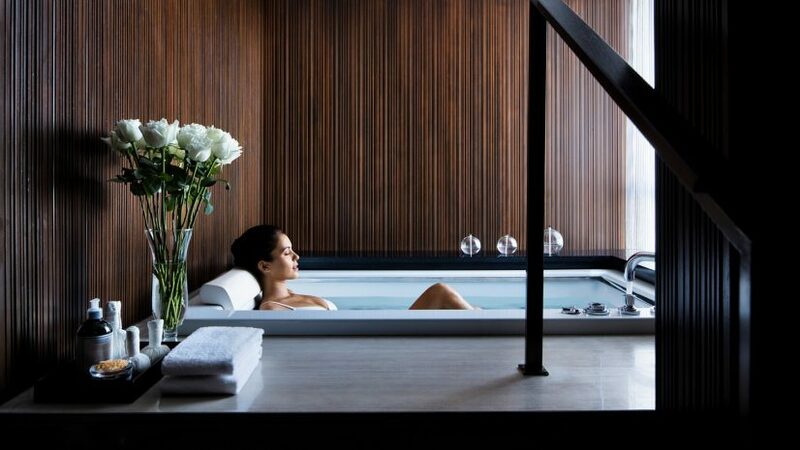 In keeping up with the five-star service that is synonymous with the esteemed Sofitel Bangkok Sukhumvit name, this award-winning Thai spa promises to continue going above-and-beyond for its guests.